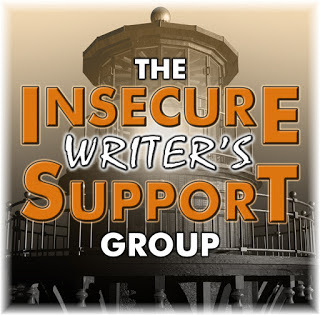 ← December’s IWSG – Do I have Writing Goals? New Year’s Eve’s early morning started off with a BANG, CRASH, and THUD! I jumped out of bed, ran around the corner of our short hall directly into the living room of our tiny apartment. There sprawled on the floor was my husband. He had passed out again. We must have looked like an episode of Oliver and Hardy, where Oliver misses a step on the ladder crashing to the ground while Hardy… me runs around in frantic circles. As my husband lurched toward the floor he hit our oak corner table shoving it into the wall of our tiny apartment. Now there is a slight indentation in the wall. You can say we have made our impact on the apartment. My mornings frequently start out this way as of Christmas Eve 2015, one year ago. I’m thinking, ‘But this is Christmas Eve. We have plans to enjoy Christmas day with our son.’ So, turning to John I mutter, “How about if I drive you to the hospital?” thinking that we would get to the hospital, the doctor would give John some medicine to settle his tummy, and then we could come home. As it turned out, the ‘acid reflux’ was killing him, but it wasn’t acid reflux. John had a serious hiatal hernia that was extraordinarily large, twisted around his stomach, pushing into his lung, and turning gangrenous. To add to the fun, my husband has such extraordinarily low blood pressure that he would stand up and pass out. I was hoping the doctor and hospital aids would wrap him in bubble wrap. Now after several surgeries, and a barrage of tests, the doctors still don’t know why John passes out. Consequently, at night when he gets up and attempts to use the bathroom he may walk a couple of feet along the edge of the bed, start to wobble and bounce like a small child on the bed. Sometimes he misses the bed and hits the floor. Sometimes he staggers to the end of the bed and bounces on my legs. Night after night, and during the early mornings we go through the same routine. My morning consists of getting up before John to get his water, pills, coffee, and oatmeal ready. I watch as he marches laps up and down our short hall as he works to get the blood circulating to his brain. Now, after seven months of this morning routine, he is finally able to walk out to the mailbox to get our mail, walk down our few steps to dump our garbage and recycling. I’m still wondering WHEN do the Golden Years start? This month’s IWSG question is “What writing rule do you wish you had never heard.” There are two rules that drive me crazy and I’ll bet you can guess from reading my story which two rules they are… “Show don’t tell,” and Write what you know. When I “tell” my stories I see them vividly in my mind… you mean you CAN’T read my mind? Also, writing what I know… hmmm, WHAT do I know? I have volunteered forever with organizations that help children because of my dysfunctional family life while growing up. I keep thinking that if I tell my story people will see what went wrong in my family… so they will do things better and differently. Also, I admired Erma Bombeck’s style of writing with heart and humor… I hope to “grow up” to be like her… wish me luck. This entry was posted in Caregiving, IWSG. Bookmark the permalink. Oh, Gwynn, you are so strong and have the best attitude. And something tells me you’re going to keep finding strength deep inside your heart and keep moving forward. As for writing rules, I agree with you on the show don’t tell. Someone coined that phrase, and everywhere you see a critique, you’ll see that written on the margin. Maybe too much exposition isn’t good, but sometimes one has to tell. As a writer friend says, there are no real rules in writing, only guidelines. I AM hard-headed, so I WILL survive this. The good news is that life isn’t AS bad now as it was in the beginning. John is improving. He will NEVER be better though. It will be really fun when I have to have my hip surgery in March. John isn’t allowed to drive so I have to find friends to cart me to and from the hospital. Be careful… those Golden Years are sneaky! Learning to simply be ME with my writing is the biggest issue. Everyone has their own thoughts on writing rules. It is frustrating. I have to figure out where I fit in! Wow, there’s a lot on your plate. I hope you get some ‘you time’ every once in a while. So write what you want to write, how you want to write it. I work at getting “ME TIME” but sometimes it is harder than others as not only am I Humpty Dumpty and Twisted Sister, but I’m about to become the bionic woman in March. I’m laughing, I loved your comment about the 20 Shades of writing… or something like that… giggle, giggle. There are so many various opinions out there that it is tough to learn to be ME!! Thanks for stopping by! Wow, it’s been one long, tough year for you. My heart goes out to you. I have another friend whose husband has dementia already, and she too is carrying a heavy load. I wish there were more programs to make caregivers’ lives easier. 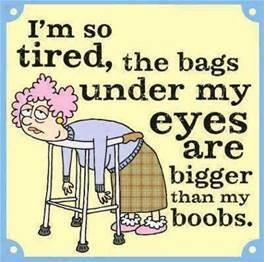 Yes, one of the gals I volunteer with, her husband has a bad case of Parkinson’s so she has quite a load to carry too. To add to my fun, March 6th or sooner, if I can get a cancellation, I’m scheduled for my first hip surgery. This getting old stuff is the PITS. But despite how crazy my life is, it is NOT as bad as it was in the beginning. The bad days are fewer. THANK GOD!! Oops… sorry for the duplicate, but I forgot to hit the “reply” button. Getting the ideas in my head down onto paper so that they can jump into my readers heads is the hardest part for me. Sometimes I wish my readers could read my mind. Sorry about your husband. Hopefully they get that all cleared up. Showing my ideas clearly to my audience is a problem. I guess I’m better at “telling” than “showing” but now my goal is to SHOW and Tell!! Wish me luck! Thanks for stopping by and your great comment. I’m glad others have trouble putting their ideas on paper too. Happy New Year and hopefully it is a GREAT one! Sorry you had to go through all that. Went through a scare myself a year or two ago when my husband took the day off because he wasn’t feeling well. And he’s never sick. Found out the next day that he’d pulled a back muscle at work and never said anything. Next the trip to the hospital escalated to him being quarantined for shingles. Turned out it was really an allergic reaction to whatever antibiotics they gave him. Here’s to a better health and year in 2017! And those two rules can drive anyone crazy. Oh my! You definitely had a scare with your husband too. Hanging out in the hospital either as the patient or caring about the patient definitely is not my idea of fun. I salute you too… Here’s to better health and year in 2017 for both our families. I’m already crazy after my year!! Happy New Year and Thanks for stopping by. You are a survivor Gwynn, never forget that! You can dance better than many (definitely better than I) and Attitude is All which you have in spades, with a delightful quirky sense of humour. A woman I met recently has TWO new hips and she moves like a hippie 🙂 So, be encouraged dear friend! Boy, after my experiences here I sure would NOT want to be out on a battlefield. The “bangs” here are scary enough! 😉 As for dancing… hehehe… I think we should have a “dance-off,” as I’m betting you don’t give yourself enough credit. With such a musical son around I’ll bet you do lots of dancing. The sad part is that now I don’t have a place to turn up my computer and dance. I would disturb John while he is working in his office. Yes, everyone that I have met who has had replaced hips is delighted they did the surgery as they can do far more than they could. It is just that I have to line up people to take me to the hospital and to pick me up as John can no longer drive. I guess I’m getting a taste of what it would be like to be single. Thanks for your encouraging words, and for stopping by! I so appreciate your support. The New Year brought in another surprise, and that will shake anyone balance up. You are going through some heavy things at the moment, which I look at as material for your first or second book. I’m not going to say it will all pass by because I believe you know that. Just keep writing when you can and doing those things that will give you a little breathing room, even if it means going to a cafe by yourself and drinking a nice cup of Earl Grey tea alone. You can do it this. Take one hour at a time, be gentle to yourself, and keep writing. Happy New Year, My Dear Friend. I love you. Hi there Dearest Friend… here is your LOST reply. It found its way to my blog after all. Thank you for your support and friendship. I do need to sit down with my Caregiving entries to see if I can be constructive with them. I also need to pull out my brother’s picture album to see if it will help me construct more memories. Now, I have some goals to work toward this year! I don’t know why my comment didn’t post, but I posted one yesterday, and since I didn’t see a response from you, I decided to check and see if it was on your blog. It is not, and to be quite honest, I don’t know what happen to it. I cannot repeat all of what I wrote yesterday either so here is a fresh take from my head and heart. Your New Year’s started out with a big bang. I know where you are at. Sometimes situations occur all at once and we want to scream, ‘heck, what’s going on.’ Hans has been sick since 1997, and I have been dealing with it since then. I want even go into the things that I have had to adjust, rearrange, or put off to another time in order to deal with his health as he degrades or degenerate, but I have observed that when I face the problem and lift my eyes toward heaven, trusting God, to bring me through it, I get through it. To be very honest with you, I enjoy getting older. I really mean that. I don’t want to be sixteen, nineteen, twenty, thirty or any other age than what I am now. In fact the older I get the more I enjoy life. The more energy I have and the more my optimism and confidence grow. My music and my writing has a lot to do with my staying focus. You are a writer with much talent and many stories you can share with others. Think about letting that be your focus. Not your upcoming hip operation or John’s illness. Those two things you cannot do anything about, but you can do something with the writing ability you have been given while these things are going on. Your writing brings you joy and with that joy you will receive strength that will help you master the big situations in your life. So, I say to you, hang in there. Keep writing. Keep sharing yourself with others through your writing and I am praying for you, because I am a woman who believes in prayer. P.S. If this is a repeat comment, I am sorry about that. I just don’t know what happened to my comment yesterday, so I am thinking it disappeared in the Black Hole or maybe you just haven’t gotten to it yet. It is weird, as yesterday I saw that you “Liked” my blog, but no comment appeared. You are so wonderful about sharing so many IWSG blogs, that I thought you didn’t have the time to comment. Oh like you, I pray to the Lord everyday as I walk along the waterfront to take in the beauty and serenity of the world. I thank him for the many blessings he gives me, but I also ask him to help John. John is doing better. He has not passed out since early December, so New Year’s Eve morning he simply did NOT take the usual care that he needs to do. He slowly is able to do more here in the apartment. So I need to be thankful for the small blessings. As for aging, I don’t mind aging… it is the pain that goes along with aging that I mind. Lately, the pain has intensified. I need to have that surgery on my hip because if I can’t drive then we have some major problems on our hands. I’ll write more in an email to you. Writing here in the apartment has been a bit of a problem as I no longer have an office. I’m here with the TV. However, most of the day John is in his office working and not here at the TV. I simply need to change my routine and find MORE of a life to give me something to write about. Thank you so much for your support and friendship. I do wish you lived closer so I could get a big HUG… but I’ll have to send the Hug via airmail with my love! Oh My Gosh, your poor husband and you. Sending you prayers. I hope February has found stuff better and your just busy with living life. Hugs and Prayers to you . Juneta, Thank you so much for your response and caring. My husband is maintaining the status quo, so to speak. However, now it is my turn. I’ll have hip replacement surgery the 15th of this month. Being in pain is NOT fun. Thanks for your Hugs and Prayers! I DEFINITELY can use both!